Intoxicating substances, from alcohol to narcotics to synthetic marijuana, come from all over the world – chemicals manufactured in China, plants grown in Afghanistan, or home-brewed stimulants from clandestine labs in the United States. The vast majority of drugs are consumed by Americans – both illicit and prescription substances – but most of these drugs are not made in the United States. In fact, drug cartels based in Central and South America are responsible for bringing illegal drugs across the border and into the US. The five most famous and powerful drug cartels in the world are outlined below. Sinaloa Cartel: A Mexico-based cartel famous largely because their long-term leader, El Chapo, was recently captured and imprisoned, the dangerous Sinaloa Cartel is also notorious for its extensive ties to the Mexican federal police and military. Their organization has extensive reach across Central and South America, and is one of the leading drug exporters to the United States, primarily heroin and cocaine. The cartel is known for torturing and murdering couriers who lose their product, who fail to deliver on time, and who stand in the way of their trade. They also tightly and fiercely control their image in the media, allowing in only select reporters on guided tours. Medellin Cartel: Based in Colombia, one of the leading cocaine-producing territories, the organization began smuggling emeralds, but as notorious Pablo Escobar took control of the cartel, the focus changed to drugs – predominantly cocaine, but also some marijuana, in the 1970’. The organization famously used private planes to traffic drugs from South America to Florida.Thanks to the growing addiction to cocaine in the United States in the 1970s and 1980s, the Medellins were soon able to invest in numerous small airplanes, better laboratories, bribes for government and military officials, and even a small island in the Caribbean that became a pitstop for aircraft. The Medellin Cartel disbanded after the 1990s, when many members either turned themselves in or were killed, including Escobar, who was gunned down by Colombian police. 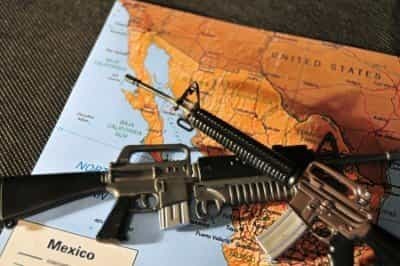 Gulf Cartel: One of the oldest Mexican cartels, dating back to the 1930s, there are roots of the organization extended across several continents into West Africa, Asia, Europe, Central America, South America, and the US. Their capo, Juan Jesus Guerrero Chapa, moved to a suburban Dallas, Texas, home to escape being pursued by rival gangs in Mexico. However, in 2013, assassins caught up to him, and he was murdered outside of his home. The prior Gulf Cartel leader had been extradited to the United States in 2007 and sent to prison for 25 years. Los Zetas: This criminal group began life in 1997 as a band of 31 former Mexican Special Forces operatives who deserted the military and joined the Gulf Cartel as their private militia. The Zetas have since grown into their own, separate organization, which not only traffics drugs, but also polices cities and towns, assassinates rivals, and launders money. The Drug Enforcement Administration (DEA) described the Zetas as extremely technologically advanced and trained in paramilitary techniques.They are violent even compared to other cartels. Since they struck out in 2002 after the original leader of the Gulf Cartel was arrested and sent to the US, the Zetas have captured 405 Mexican municipalities and moved into Guatemala. They prefer to maintain control over territory with military techniques, although they also keep ties to drug traders across Central and South America. Juarez Cartel: This cartel is one of the few large and powerful enough to truly rival the Sinaloa Cartel. Juarez is responsible for smuggling tons of narcotics into the United States since the 1980s. It is also an old criminal organization, based in drug trafficking and also trafficking humans, kidnapping, extorting money, and moving drugs between provinces.The original capo, Carrillo Fuentes, died in 1997 while undergoing extensive plastic surgery to change his appearance and escape assassins. Other would-be leaders were repeatedly assassinated within months or a handful of years of taking over Juarez, leading to an escalating war between Juarez and other cartels in 2004, which has since devastated Mexico.